Foam rolling is everywhere now. You can find foam rollers at the gym, your physical therapist’s office (PHYSIO), your living room and for some even your suitcase. Foam rolling has become beloved in the fitness world and the fix-all for many different aches. Foam rolling is a form of self-myofascial release, or self-massage, that helps get rid of adhesions in your muscles and connective tissue. These adhesions can create points of weakness or susceptibility in the tissue. If the muscle isn’t working the way it is designed from one end to the other, it could contribute to injury and pain. Foam rolling also increases blood flow to your muscles and facilitates better mobility, helping with recovery and improving performance. Foam rolling offers tremendous potential to relieve pain and help you move better if used the correct way. If not used properly, you risk irritating, and possibly injuring, your body further. When we feel pain, our first inclination is to massage that spot directly. However, this might be a big mistake. Areas of pain are not necessarily where the actual problem lies, many times they are just the symptoms of another issue. The root issues may be tension imbalances in other areas of the body. Let’s take the IT band, for example. Foam rolling is a commonly prescribed remedy for Iliotibial Band Syndrome (ITBS). While religiously rolling out your IT band might feel good, the idea that you are going to relax or release the IT band is a misinterpretation. The phrase “roll out your IT band” itself makes it sound like you are rolling out a piece of dough, but your IT band is anything but pliable. It’s a remarkably strong piece of connective tissue, and research has shown that it cannot be released or manipulated by manual techniques such as foam rolling. Think of it as “stretching a rope, it just doesn’t work.” If you irritate areas of inflammation, you can increase inflammation which does the opposite of helping to resolve the condition. The fix: Go indirect before you go direct. If you find a spot that’s sensitive, it’s your body’s way of saying ‘stay away from that area by a few inches.’ Take time and work a more localized region around areas that feel sore before using larger, sweeping motions. For the IT band, work on the primary muscles that attach to the IT band first — specifically the gluteus maximus (the largest muscle in the buttocks), the quadriceps and hamstrings. While it might feel great to roll back and forth on a foam roller quickly, you’re not actually eliminating any adhesions that way. Give your brain enough time to tell your muscles to relax. Slower, controlled movements work much better and produce not only better long term gains, but it also feels better when you do it. It gives the muscle time to adapt to what you are trying to accomplish. The fix: Go slower so that the superficial layers and muscles have time to adapt and manage the compression. Feel where the tender spots are with the roller, and use short, slow rolls over that spot. We’re often told that if you feel a knot, spend time working that spot with the foam roller. However, some people will spend five to 10 minutes or more on the same area and attempt to place their entire body weight onto the foam roller. If you place sustained pressure on one body part, you may actually be on a nerve or damage the tissue, which can cause bruising. The fix: Spend about 20-30 seconds on each tender spot then move on. You should also manage how much body weight you use. When working your IT band, plant the foot of your leg on the floor to take some of the weight off the roller. You may also use your arms to adjust the weight. Mistake #4: You have bad posture. What does your posture have to do with foam rolling? It has a lot to do with it. You have to hold your body in certain positions over the roller which requires a lot of strength. When rolling out your legs, you are supporting your upper body weight with one arm. When you roll out the quads, you are essentially holding a plank position. If you don’t pay attention to your form or posture, you may exacerbate pre-existing postural conditions and cause further injury. The fix: Work with an experienced personal trainer, physical therapist or coach who can show you proper form and technique. You may also consider setting up your smartphone to videotape yourself while foam rolling. You can see what you are doing right and what you are doing wrong, like sagging in the hips or contorting the spine, which allows you to improve your technique on your own. Most importantly, understand what the origin of your pain is before you start. 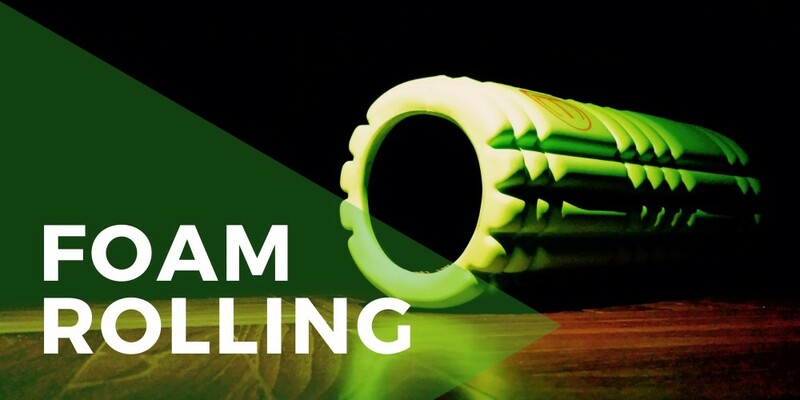 Know what you are trying to achieve through foam rolling and how to do it properly. Just like anything good, you will need to stick with it. To get the benefits of self-massage, it’s repeated exposure that’s most important. If you have questions, reach out to the foam rolling experts at Physio Physical Therapy and Wellness.